An Appbox +Stream or an Appbox +Dedi slot from Bytesized Hosting. Plex Media Server Installed on your compatible Appbox slot. Enable plug-in access on your Plex Media Server Install. Download and install the Trakt Plex Scrobbler plug-in. Configure the Trakt Plex Scrobbler plug-in. Make use of your new Trakt.tv account. Please note that this enabling plug-ins voids your warranty and that plugin supported might be reverted at any time. At the moment, plug-ins can be enabled manually. This process should be considered a test-run. Trakt.tv is a website dedicated to holding a record of the TV shows and movies you’ve watched, and making that information easily shareable with others. In addition, they provide recommendations to you based on your viewing habits and function as a social media platform by allowing you to follow others and see what they’re watching – both great ways to find new shows and movies. All of this is wrapped up in an eye-pleasing interface that’s easy to navigate. Sounds great, how do I use it? Good news – a Trakt.tv account is free, although there is a VIP tier if you wish to contribute to the site’s funding. Trakt.tv was built around providing a way for others to build apps that connect to Trakt.tv (an API), which has led to the creation of apps that can do things like manually allow you to check in on your phone while viewing. However, that’s often cumbersome and adds an extra step that not everyone wants or has time to do. Enter scrobbling – by installing a Plug-in on your Bytesized slot, you can automate this process and have Plex automagically update your Trakt.tv account in the background every time you watch a show or movie (a process called scrobbling). 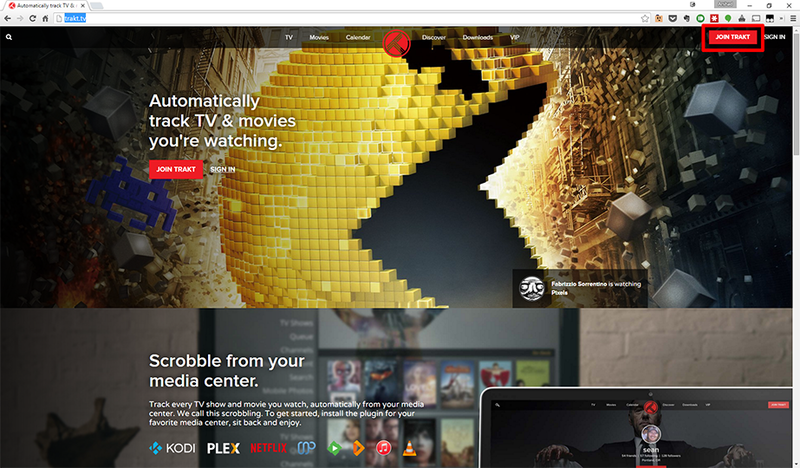 Continue reading for in-depth instructions on installing and configuring the Trakt.tv Plex Scrobbler. 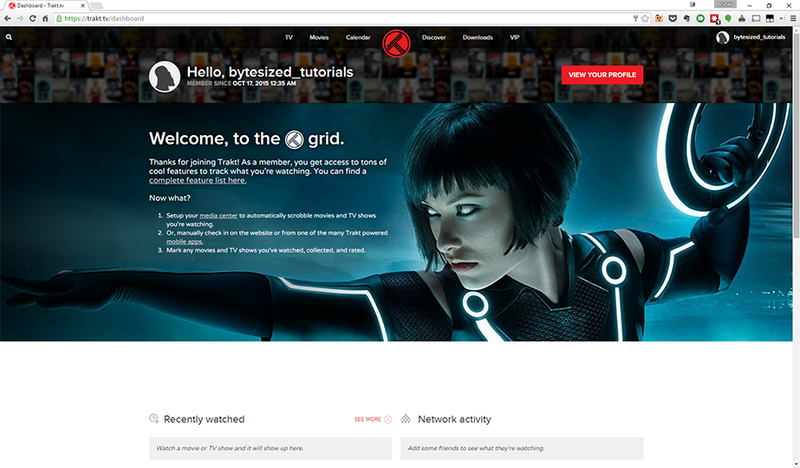 Step 1: Create a Trakt.tv account. Head on over to http://trakt.tv. 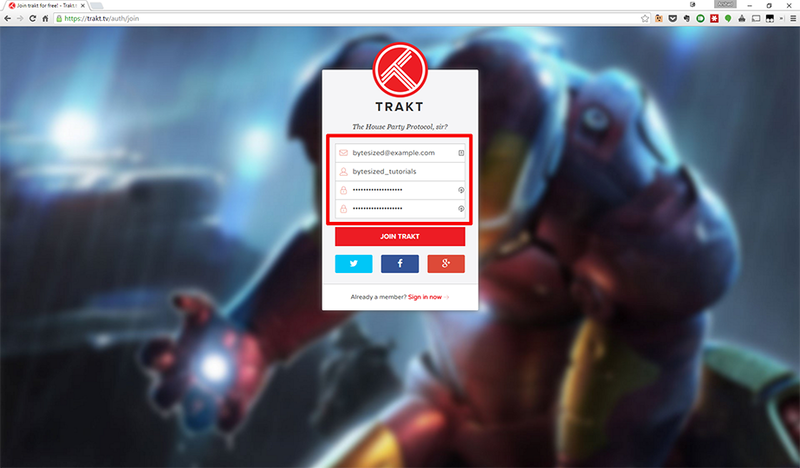 Click the “Join Trakt” button in the upper right. Fill in your personal information in the fields shown, or create an account through your Twitter, Facebook or Google accounts. Congrats! You’ve now got a Trakt.tv account. Remember to confirm your email to finalize the account creation process. 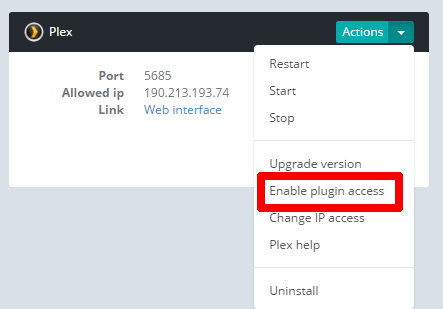 Step 2: Enable Plug-in access for Plex Media Server. Navigate to your slot’s dashboard and click the green triangle seen next to your Plex section. 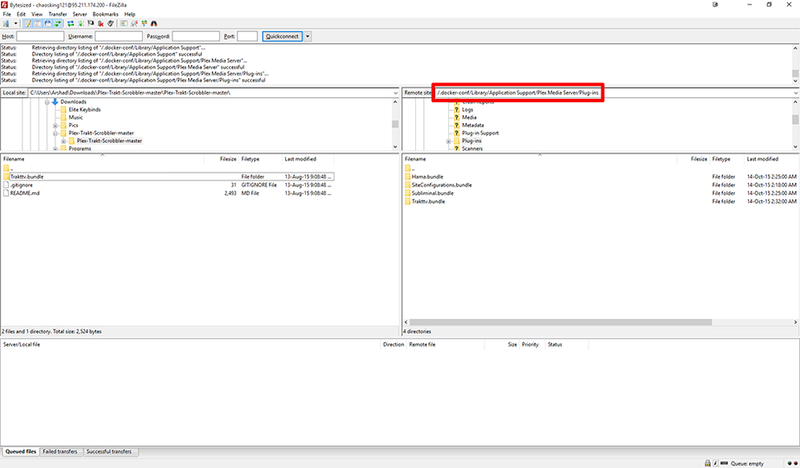 Click the highlighted “Enable plugin access” option. Carefully read the disclaimer presented. Once you ensure you have read and understood the disclaimer, click the highlighted button to proceed. Step 3: Download and install the Trakt Plex Scrobbler plug-in. Download the latest stable version of the Trakt Plex Scrobbler Plug-in. Navigate to the downloaded zip file and extract it to an easily accessible folder. Ensure that you can find the Trakttv.bundle folder. This is the plug-in and it needs to be uploaded to your server. This is the folder where your plug-ins are stored and where new plug-ins must be uploaded to install. Copy the “Trakttv.bundle” folder that you extracted earlier to this folder. When the transfer is completed, your plug-in will be ready to be installed. 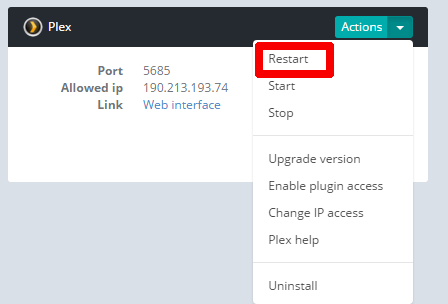 To install your plug-in, simply restart your Plex Media Server from your slot’s dashboard. Congrats! You have now installed the Trakt Plex Scrobbler. Step 4: Configure the Trakt Plex Scrobbler plug-in. 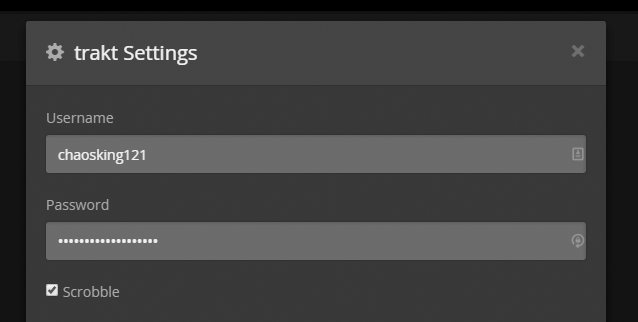 Navigate to your Plex Web interface and find your server listed in the column on the left. Select the Channels option as highlighted. 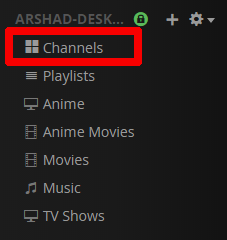 Select Trakt from the list of installed channels. Select the gear in the upper left of the page you are presented with. Now, simply fill in your username and password and ensure that “scrobble” is ticked. Step 5: Make use of your new Trakt.tv account. You can synchronize your already watched shows and movies with the “Sync” option, available when you select the Trakt Plug-in from your Channels list. You can install the Android or iOS apps and use your Trakt.tv account on the go. With this, you can “check in” and record viewing at a cinema or on cable. You can connect your Trakt.tv account to other services you may use, such as Netflix, and track your viewing habits there as well. You can use Trakt.tv’s discovery feature to find new movies and shows to enjoy.